Every summer, Canberra delivers a sensational line-up of blockbuster exhibitions in its world-class galleries, museums and libraries, and this season’s offering is no exception. 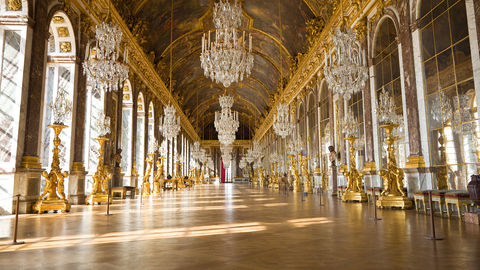 For the first time in history, a collection of more than 130 sumptuous treasures from the Palace of Versailles is coming exclusively to Canberra. Versailles: Treasures from the Palace, which will be on show at the National Gallery of Australia (NGA) in Canberra from December 9, is a once-in-a-lifetime chance to see and experience a mesmerising period in French history. Prepare yourself for an epic exhibition that embodies the opulence, luxury and beauty of a period central to French history, bringing life to the reign of three kings, their queens and mistresses. From the iconic gardens to the rich paintings, from sumptuous rooms to the golden details, from Louis XIV to Marie Antoinette, this exhibition is the greatest cultural experience this summer. Master Perfumer Francis Kurkdjian will also create a unique scent made specifically to perfume the entrance of the Versailles exhibition based on King Louis XIV’s favourite flower. The NGA announced international award-winning performer Tina Arena as the official ambassador for the opulent exhibition. As the first Australian to receive a French Knighthood of the Order of Merit, Ms Arena said she is honoured to be telling the world about this historic show. Versailles: Treasures from the Palace brings personal possessions of Queen Marie-Antoinette such as furniture from her bedchamber and delicate porcelain, as well as candelabra from the Hall of Mirrors, and the magnificent centrepiece from the Palace fountain among many other intricate artworks from the 17–18th Century French court. “To have that depth of art history transposed into the National Gallery of Australia is incredible. I encourage all Australians to see this once-in-a-lifetime event,” said Ms Arena. Versailles: Treasures from the Palace opens 9 December until 17 April 2017. Tickets are available at Ticketek. The story of humanity – how we have shaped the world, and how the world has shaped us – is told in this major international exhibition from the British Museum. After just six weeks the National Museum of Australia in Canberra welcomed the 50,000th visitor to its blockbuster exhibition A History of the World in 100 Objects from the British Museum, making it one of the museum’s most popular to date. A History of the World in 100 Objects invites visitors to travel along a timeline of human history and object creation revealing a series of compelling, and often very personal, human stories, examining issues as diverse as faith, power and global exploration. The exhibition is arranged chronologically in eight sections, beginning two million years ago, through to the development of agriculture and the first cities; the development of empires; the evolution of religion; trade and invasion; Medieval times; exploration; and the industrial revolution up to the present day. The objects in the exhibition represent a vast range of materials – from stone to gold and clay to plastic. They vary in size, from large Egyptian sculpture to a small exquisite gold llama from Peru. The Popular Pet Show expresses the joy and warmth that many of us derive from our animal companions, while celebrating their trusting, unpretentious ways. Comprising exuberant recent Australian paintings, many on a large scale, the exhibition includes portraits of famous and obscure Australians and their pets by contemporary artists including Nicholas Harding, Lucy Culliton, Ken Done, Robyn Sweaney and Davida Allen. Many works have been created especially for the exhibition. Step back in time, into the ads of Australia’s past. Through highlights from the Library’s vast collections, this exhibition explores how Australian advertising has used words, images and sound to inform and persuade. It traces how advertising has evolved as society and technology have changed, asking what it reveals about the everyday lives of Australians from the 1790s to the 1990s. From wanted posters to ads for underwear and chocolates, Vegemite and Minties, to the ‘Life. Be in it’ and ‘Do the Right Thing’ campaigns, there will be something to push everyone’s buttons!